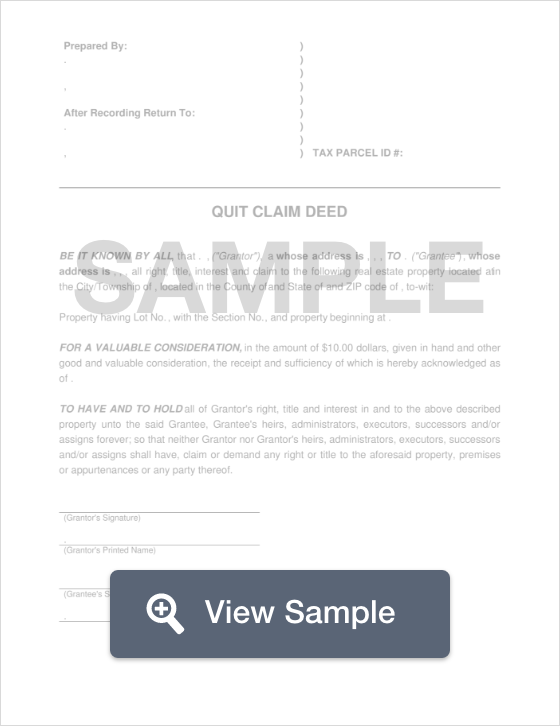 What is an Indiana Quit Claim Deed? Indiana Quit Claim Deed: What Is It? A quit claim deed in the state of Indiana is a document that allows the seller of a piece of property to transfer their ownership interest to the seller in an expeditious manner. This type of transfer is done without any guarantees that the title of the property is clear, or even that the seller has the legal authority to sell the property. This type of agreement or arrangement is common between family members, or in instances of divorce where the receiving party knows the person selling the property. A quit claim deed can also be used between strangers. Regardless of the situation, a thorough property search should be conducted before finalizing a quit claim deed. Signing - Once the quit claim deed is properly drafted, the Grantor must sign the document in the presence of a Notary Public and have it notarized. (§ 32-21-2-3). Recording - Once the document is notarized, it must be filed with the County Recorder’s Office in the appropriate jurisdiction, along with the proper fees.